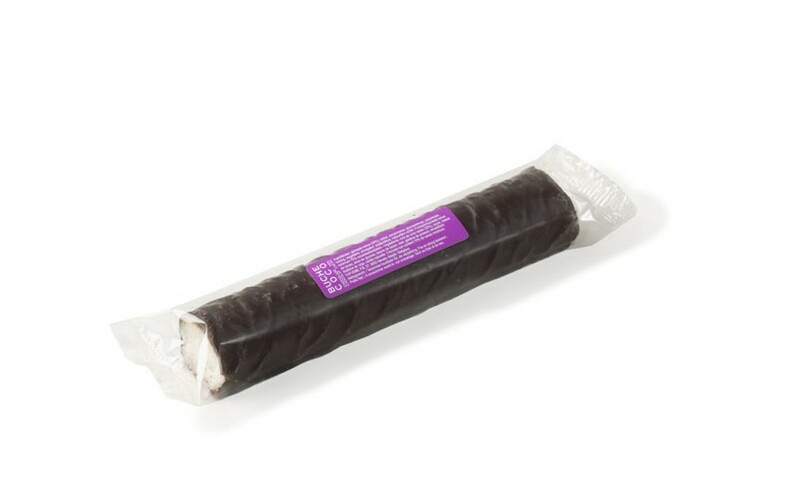 Confectionery company Vital : coconut bar with chocolate. 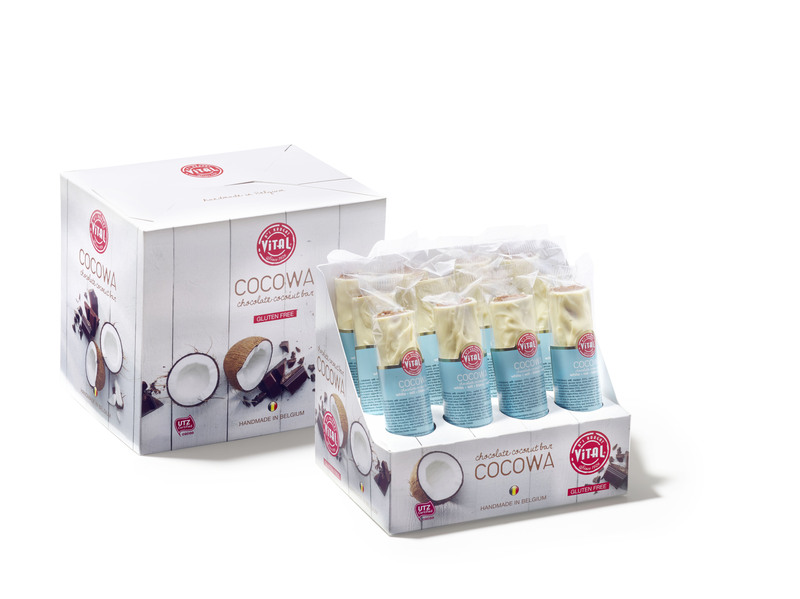 COCOWA -- Soft Chocolate Coated Coconut Bars. 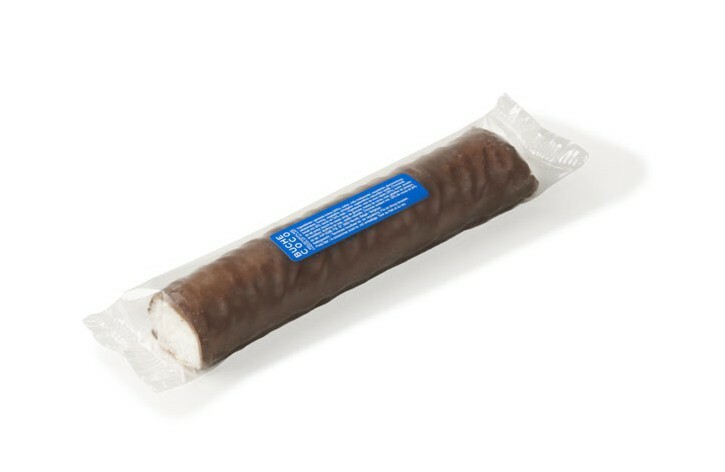 The original, delicious soft filling, now coated in UTZ-certified Belgian chocolate! In a new display, allowing you to present the product at it's best: use the cover as base! 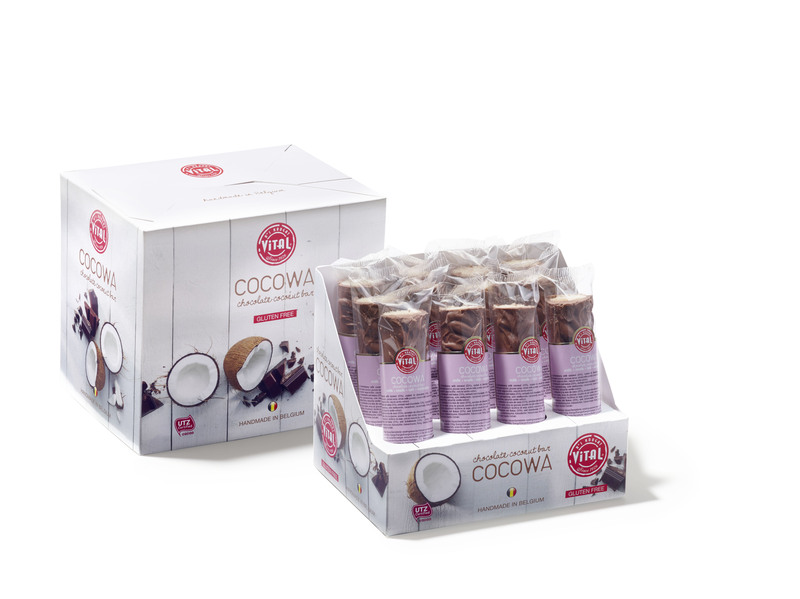 Our COCOWA bars have a shelf life of 18 months, in their original packaging. 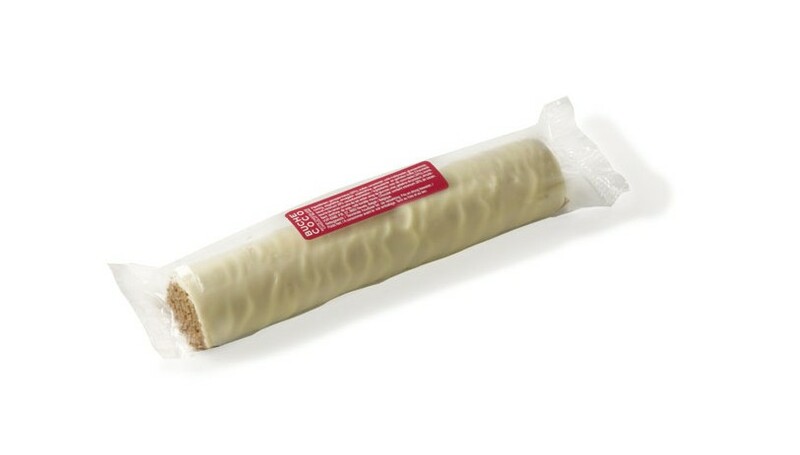 Free from gluten, peanut, colouring agents and preservatives. Cholesterol free. 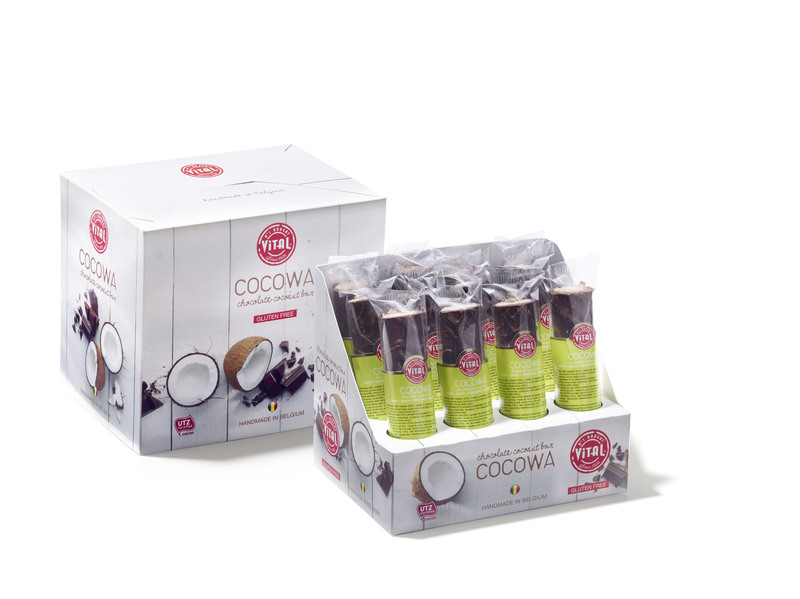 Packaging per outer case: 4 displays of 12 bars. Use the cover as base for extra exposure!